There is not a single wasted word in this treatise of perfection. I love going into a book, or in this case a novella, knowing as little as possible. I might know the general premise, a plot point or two, but generally that's about it. Occasionally, I'll have seen a title recommended by people with similar reading tastes. In this instance, I tuned into Brooke Bolander's writing later than most. I first came across it when I saw her story, "And You Shall Know Her By The Trail Of Dead," in Lightspeed, February 2015. I knew then I'd be a fan for life and to keep an eye out for any and all new stories. When I started hearing talk surrounding The Only Harmless Great Thing I knew even less than I normally would because I purposely wanted to go into the story and be surprised. 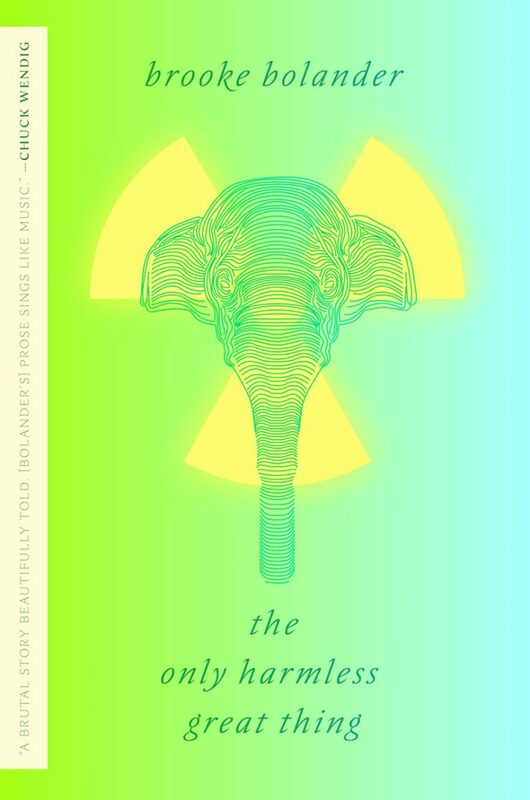 I'd heard references to the radium girls and elephants but I dipped out of any conversation going beyond that. But I should tell you a bit more, that is why you're here after all. This is an alternate history novella set in Newark, New Jersey taking two historical events, the radiation poisoning of female factory workers and the public execution by electricity of an Indian elephant on Coney Island. Bolander weaves these events into something wholly new and heart-wrenching. With Bolander's writing, you never know quite where she's going to take you but one thing is always certain, the journey is going to be exquisite. That's right. 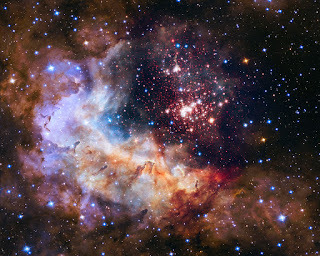 I needed a picture from the Hubble telescope. Her writing makes me feel grounded and weightless, as though the ending she provides seems the only possible ending while at the same time I feel the world is nothing but endless possibility. This novella is not typical anything. It is not a standard scifi adventure, it isn't a literary gem, it isn't any one thing because it is everything. There is not a single wasted word in this treatise of perfection. Sometimes you read a novella and lament it is not book-length. The Only Harmless Great Thing could only ever be what it is and Bolander nails it. Despite it's brevity you get to know Kat, the scientist, Regan, one of the radium girls turned elephant handler, and Topsy the elephant. My cherished Topsy. The cast is kept at a minimum to tell Topsy's story and we jump between the narrative timelines as the story progresses. It is never jarring as we switch between points-of-view and timelines, the prose flows like a river. It might not be the story most genre or sci-fi readers expect when they pick up a a novella from Tor.com, but maybe it should be. Maybe we need more gut-punching, heart-wrenching, definition-defying, stories in the world. I know I'm hoping for more. Nerd Coefficient: 10/10 -- this novella is my new gold standard for what a story can be and do.